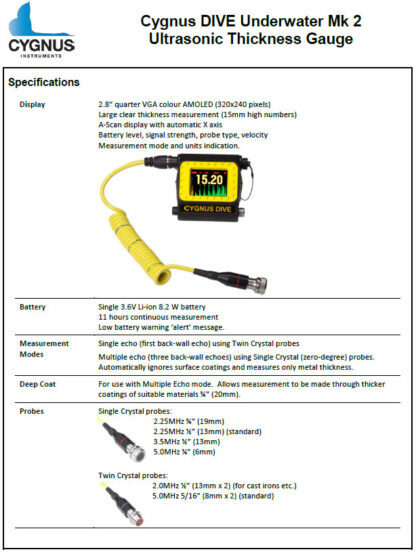 DUE TO EXPORTATION RESTRICTION THIS PRODUCT CANNOT SHIP OUTSIDE CANADA or USA – PLEASE CONTACT US IF OUTSIDE THOSE COUNTRIES. 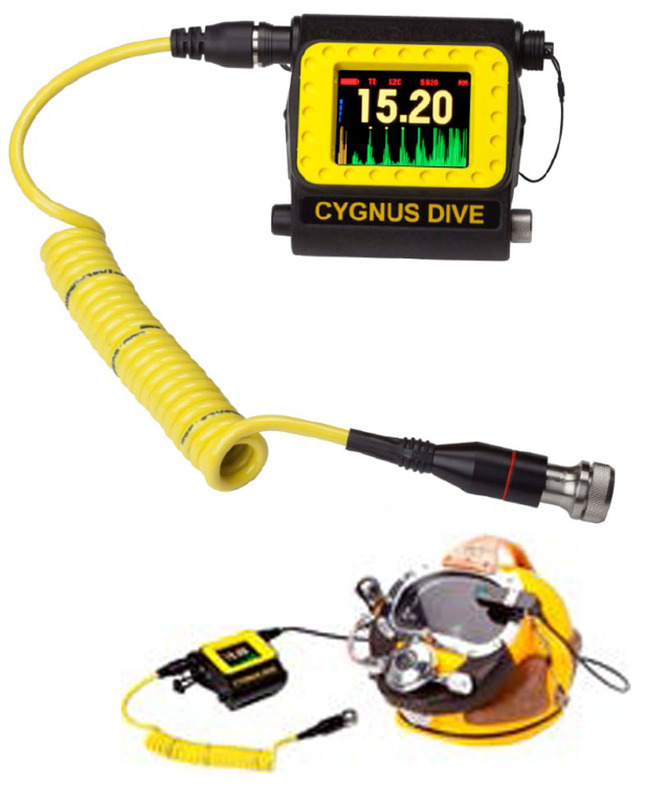 The Cygnus DIVE is a wrist-mountable, simple to operate, robust underwater ultrasonic thickness gauge which provides an invaluable free hand while performing remaining metal thickness measurements. 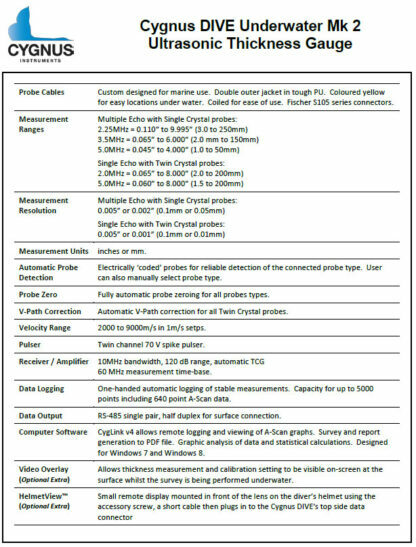 The Cygnus pioneered Multiple Echo technique is the heart of the electronics and ensures protective coatings up to 20 mm (0.787″) thick are completely ignored, there is no need to remove protective coatings. 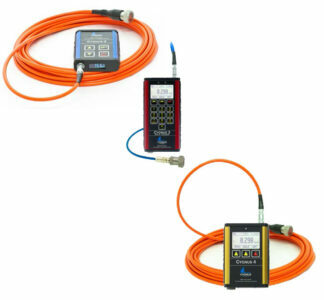 Additionally, all measurements are automatically checked and verified by the Multiple Echo technique electronics. 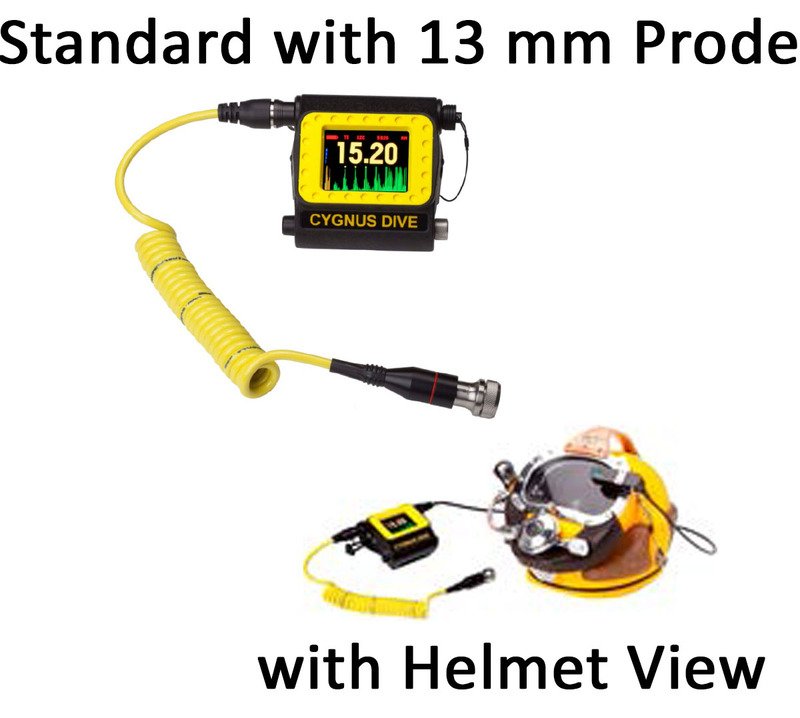 The large, bright color AMOLED display is easily viewable by both the diver and his camera even in the poorest visibility and the operation of the gauge couldn’t be simpler, only two buttons for easy navigation of the intuitive, clear menus. The completely new feature of the DIVE is the added flexibility of single echo mode where twin crystal probes can be used. This feature is useful for some specific situations including on; uncoated surfaces that have extreme front face and back wall corrosion and anchor chain links. Rechargeable Lithium-Ion battery giving up to 11 hours continuous operation. 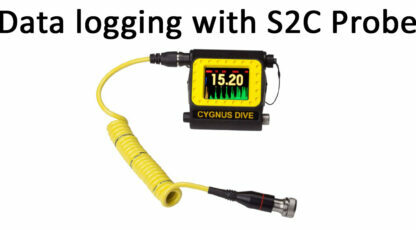 – Standard with 13mm Probe (001-7210/2) ; Cygnus DIVE mk2 UTG Kit with S2C 2.25 MHz 1/2” (13mm) Probe : Cygnus DIVE MK2 Ultrasonic Thickness Gauge (UTG), now with bright AMOLED Display, Probe S2C 2.25MHz ½”, 2 rechargeable batteries, battery charger, screen protector, silicone grease, lanyard, spare membranes, steel test block, ultrasonic couplant, operation manual and carry case. – Data Logging with S2C Probe (001-7211/2) ; Cygnus Data Logging DIVE mk2 UTG Kit with S2C Probe : Cygnus Data Logging DIVE Mk2 Ultrasonic Thickness Gauge (UTG), now with bright AMOLED display, Probe S2C 2.25MHz ½”, Cygnus CygLink software on USB flash drive, Cygnus DIVE Data Logger (Fischer) direct to PC (USB) lead, Software enabler key (on USB flash drive), 2 rechargeable batteries, battery charger, screen protector, silicone grease, lanyard, spare membranes, steel test block, ultrasonic couplant, operation manual and carry case. With Helmet View (001-7224/2) ; Helmet View MK2 Remote Display Kit for Cygnus DIVE : An OLED display, integrated link lead to Cygnus DIVE (Fischer) and mounting brackets for Kirby Morgan helmets, to display the thickness measurement in front of a diver’s lens (Suitable for use with DIVE Mk1 (orange gauge). Probes Cables Double outer jacket in tough PU. 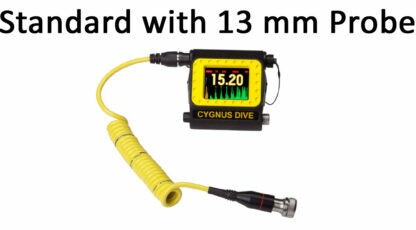 Colored yellow for easy locations underwater. Coiled for ease of use. Fischer S105 series connectors. 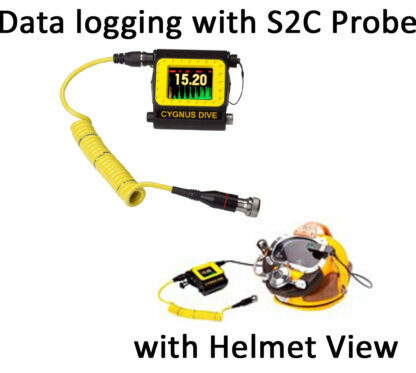 ComputerSoftware CygLink v4 allows remote logging and viewing of A-Scan graphs. 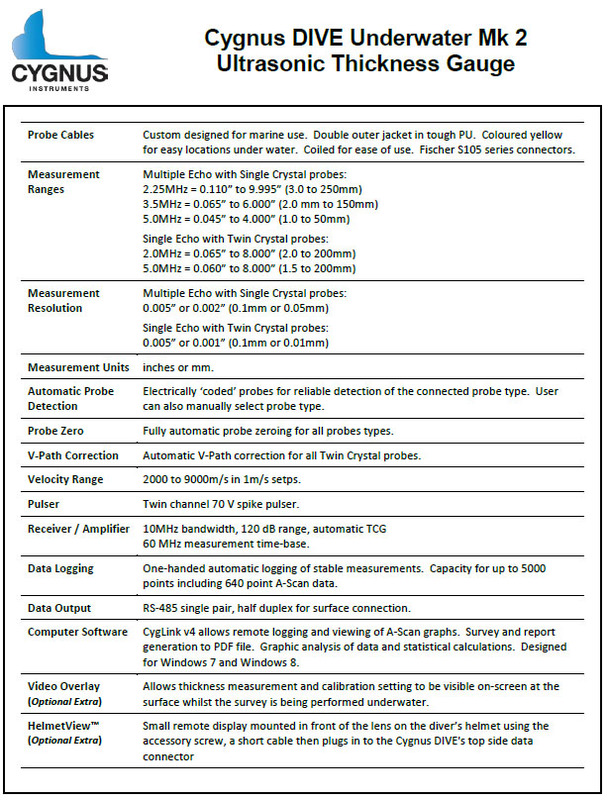 Survey and report generation to PDF file.Graphic analysis of data and statistical calculations. Designed for Windows 7 and Windows 8.